So, which system will you be using with your new headset? PS4, Xbox One, Mac, PC? Not all equipment is interchangeable with so many different systems, so make sure to check for any potential compatibility issues. Even when it comes to tactical headsets, comfort is one of the most important factors. While you aren’t planning to tackle military-level tasks from your living room, an uncomfortable headset can make your gaming experience miserable. If you are planning to play for many hours, you need to find a headset that is light and non-intrusive. Unfortunately, the only way to check if a headset is comfy is to try it on in person. You can take measurements and research materials and the size options beforehand. If you already have a comfortable headset and you’re thinking about an upgrade, check the specs of the old one to help with the process. According to military headset experts at CJ Components, the quality of a microphone is vital to the overall efficiency of the headset. As a gamer, you have to ensure excellent communication with other team members. A bad-quality sound may cost you a victory. High-end noise cancellation is one of the most important factors to pay attention to. Otherwise, your teammates will hear background noises, which can interfere with the playing process. 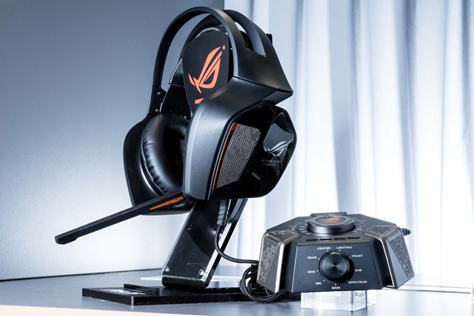 Both wireless and wired gaming headsets have their pros and cons. The obvious advantage of a wireless headset is the freedom of movement thanks to the lack of wires. Downsides include a possible reduction in sound quality and reliance on wifi or Bluetooth, which can be weakened by potential interferences from other devices. Wireless headsets are known to have their bugs, which can interfere with the smooth gaming process. If you want to ensure consistent playing and excellent sound quality, you should consider wired headphones. With them, you don’t have to worry about batteries suddenly giving out in the middle of the game. On the other hand, you have to deal with wires getting in your way and limitations on where you can sit in relationship to your system. Price is often the deciding factor for gamers. That’s why you should be paying close attention to reviews. In many cases, you can find a high-quality headset with a reasonable price tag. However, you are unlikely to uncover such a gem without the help of others. If you have a limited budget, make sure to listen to other gamers’ opinions before making a purchase. A solid gaming headset is a key to an excellent experience. Don’t make a rushed decision on this piece of equipment.